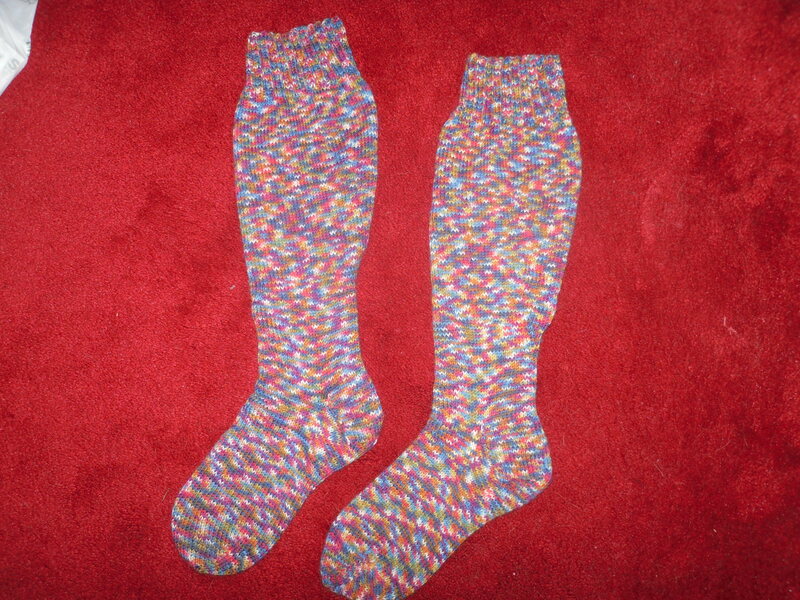 I decided to knit a pair of knee high socks to wear in my boots this winter. Of course because I’m all prepared with warm socks and wellies we won’t have snow this year and probably not much cold either! I picked bits out of 3 different patterns and with a bit of tweaking they turned out not too bad, a tiny bit less snug at the top but that’s easily solved next time by casting on less stitches. I only didn’t for sock 2 because the difference would drive me crazy when I wore them! Now I really need to sew the buttons onto the patchwork blanket I made in June so I can post a photo of that, especially as return to work tomorrow will mean less output of nice things.